Free Trouble Code Retrieval & Consultation: "1ST TIME CUSTOMERS ONLY"
“I have had Spence and Frye do several jobs on my kit car and they have performed every job optimally. They have accurately diagnosed tricky problems and corrected them. They also work very fast and complete jobs in just a couple of days. Don't put up with mechanics that want to keep your car for weeks! “Spence and Frye GM Specialist is super clean and well origanized. I highly recommand you call Omar and he is a very nice guy, professional and trustworthy. 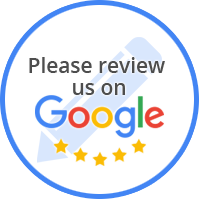 I sent my car to him for the regular maintenance and totally sastified with there services. “Had some electrical problems on my 06 Yukon Denali. Took it here since they were the only shop to confirm that they had the ability to program a body control module. The new bcm didn't resolve the issue, but I brought the truck back and they performed extensive troubleshooting and got the truck fixed right. I'm not happy about the cost of the repair since it was money that I was saving for vacation, but the truck is repaired correctly and appears to be ok. A lot of my issues was from third party garbage that was improperly installed on the truck. The shops expertise got the issues resolved and while my wallet is a lot lighter, at least it's fixed until the next thing breaks. “When I first walked into this auto shop, the first thing I noticed were the clean and pressed uniforms worn by all of the technicians. Had a very old school service station vibe. Inside the waiting area, there are certificates of various GM specialty training hanging on the wall. Kind of like a doctor or lawyer has behind their desk, in an effort to relax any anxiety, and create a feeling of safety that comes from expertise. The service itself was very thorough. Clear diagnostics, explanation of services rendered as well as potential problems brewing. As I driver of an older truck, it becomes important to maintain, and use proper replacement parts. I was very happy with the attention to detail that was given. The price is a little high, especially considering it is on a street with dozens of other auto shops. It's what you would pay at a dealership, versus an independent. I winced a little bit at first, but then I drove my truck for months without a problem. Worth the extra nickels. “Spence and Frye GM Specialist is super clean and well origanized. I highly recommand you call Omar and he is a very nice guy, professional and trustworthy. “Spence & Frye represent the gold standard of independent auto service shops. Art and Omar are top-notch GM experts. They use AC Delco (factory) parts as a default, but tif you ask, they will also use generic aftermarket parts to save you some money, especially if it's something that doesn't really make a difference. (Word to the wise though, some AC Delco parts are truly better quality). Not valid with other coupons or discount offers. Present Coupon when leaving vehicle. Spence & Frye GM Specialist of Pasadena, CA is an Independent Automotive Service Center Specializing in repairing GM Vehicles which include Cadillac, Buick, Chevrolet, Pontiac, Saturn and Hummer featuring quality ACDelco Parts. 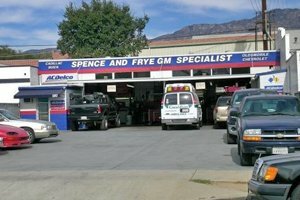 At Spence & Frye GM Specialist of Pasadena, CA, we are dedicated to providing professional customer service and quality automotive services to the Pasadena, CA community. We offer complete vehicle maintenance, service & repair. Whether your car needs engine repair, or just an oil change, our goal is to provide our customers with honest, quality service in a timely manner. Feel free to call or come by our location anytime. Whether your vehicle requires major repairs or is due for maintenance checks, Spence & Frye GM Specialist of Pasadena, CA is qualified to handle it all. All our technicians here at Spence & Frye GM Specialist of Pasadena, CA are highly experienced and trained and know exactly how to address all auto repairs and car services. From GM Vehicles domestic cars, trucks and SUVs, we stick to the manufacturer’s guidelines. Whether you are close to home or on the open road, this Professional Service Center Program participant offers you the benefits of quality, dependable ACDelco parts. The ACDelco Consumer Assurance Program is our way of letting you know that we stand behind each and every quality ACDelco part we sell. If a qualified select ACDelco product installed by an ACDelco Professional Service Center fails within 24 months or 24,000 miles* from the time of the original repair, we’ve got you covered. 1. 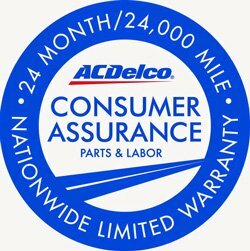 If the failure occurs within 25 miles of the original repair facility,** please return to the original facility for possible ACDelco warranty coverage. The installing ACDelco Professional Service Center will conduct the warranty repair and you will be on your way. 2. If the failure occurs more than 25 miles from the original repair facility, call the Consumer Assurance Program tollfree at 800.ACDelco (800.223.3526), prompt 3. 3. Present your original receipt to the repair facility for authorization. 4. After the repair facility authorizes your receipt, the repairs will be made and you will be on your way.